Northern Michigan is rich in tradition with hardworking families who stand strong in their values. That’s why I chose to raise my family and run my business here. As State Representative from the 101st District, I work every day to represent our shared values of family, faith and community. I feel called to continue this mission as State Senator in the 35th District. I think like the people of Northern Michigan. I work like the people of Northern Michigan. 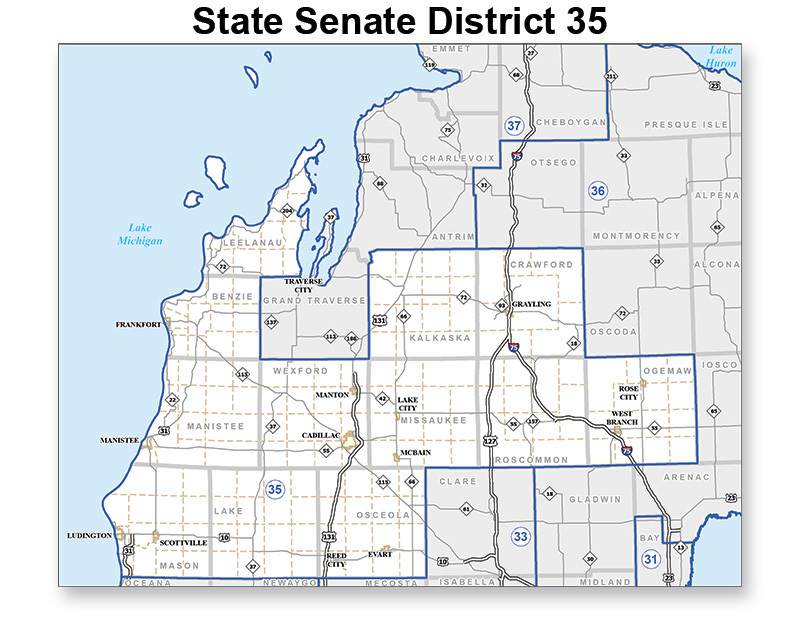 I am committed to represent the people of Northern Michigan. I look forward to earning your support in the coming months.